Tis the season for holiday magic! Enjoy 100% of the action with our 2018 Holiday Guide, presented by Flamingo Gardens. Flamingo Gardens. Mrs. Claus and the elves are visiting Flamingo Gardens to see which animals have been naughty or nice. Enjoy visits with Santa and other holiday characters, Santa’s Snow Mound, Animal Train ride through the Arboretum, life-sized snow globes, bounce house, holiday music, contests, and holiday crafts. Santa’s Little Helpers and Garden of Lights after 5pm is included with daytime admission. Click here for 25% Coupon for Santa’s Little Helpers. Brightline. Get onboard the most magical ride of the year! 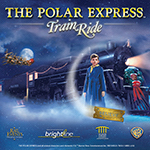 The Polar Express Fort Lauderdale train ride on Brightline is running on select dates through January 1. 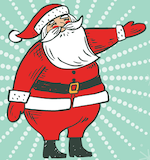 Enjoy exciting performances, hot chocolate, cookies and a special visit from Santa. Visit ftlthepolarexpressride.com for tickets and start a new family tradition. Broward Center. Sing & dance with us this winter! The Broward Center offers classes, camps & workshops for all ages. Join us for a King & I Day Camp on Dec 1, a Winter Song & Dance Intensive Jan 2-4 or take a singing, dance, acting or improv class. Winter classes begin Feb 9. Learn more at BrowardCenter.org/Programs. City of Miramar. Treat munchkins 6-12 to a winter break filled with fun and adventure via City of Miramar winter camps. Camps include co-ed sports, field trips, cooking and arts & crafts. Choose between four locations. Camp runs Dec 24-Dec 28 and Dec 31-Jan 4 from 7am-6pm (no camp Dec 25 or Jan 1). Click here for details. Miramar Cultural Arts Center. The holidays are here! 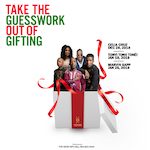 Let MCC take the guesswork out of gifting this season with our spectacular shows! Family and Friends alike will love the opportunity to enjoy a live performance from top selling Artists. Avoid mall mayhem altogether – tickets are available at TicketMaster.com and any TicketMaster box office. Pompano Beach Parks & Rec. Come ring in another holiday season with the Yuletide Parade on Dec 6. The parade will begin at 6:30pm starting from Riverside Dr, heading west on Atlantic Boulevard and ending at McNab Park. The parade will feature floats, marching bands, dancers, and more. After the parade, join us in McNab Park for the after party. For more information call 954-786-4111. Pompano Citi Centre. 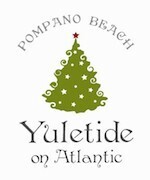 Pompano Citi Centre is the place to be this holiday season. Take free photos with Santa after his arrival party on December 1st. Listen to the beautiful voices of the Yuletide Carolers. 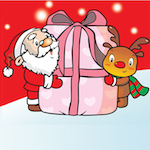 Enjoy story time, activities and giveaways during Cookies & Milk with Santa and Mrs. Clause. Even pets can enjoy the fun taking photos with Santa. Click here for more information, dates and times. Ritz-Carlton Fort Lauderdale. With stunning views of the Atlantic Ocean, holiday celebrations are picturesque with Burlock Coast’s Christmas Day Brunch and the NYE Dinner party. Perfect for the entire family, dance the night away with a live band, party favors, kids’ activities, dinner, desserts and open bar at The Ritz-Carlton, Fort Lauderdale New Year’s Eve Gala. Click here for details. Yello! Campers will enjoy three fun-filled days of wintery wonder as we travel to the North Pole at Yello! 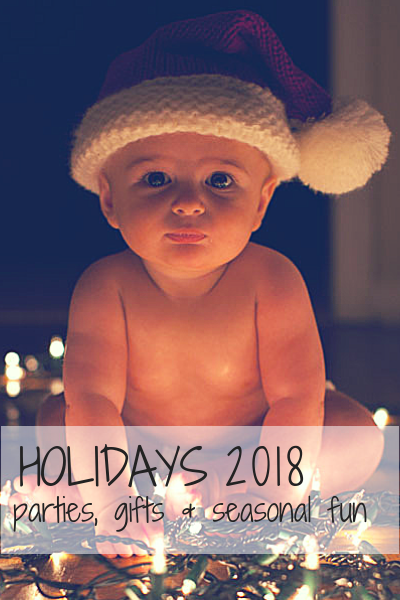 Through film, art, food, music and dance, children will learn dances and songs from the movie Happy Feet, create delicious, organic, plant-based treats, and memorable crafts keeping kids in the giving spirit well into the New Year. Jan 2-4, 2019. Campers must be ages 5 and up. Register today! Young at Art Museum. Enjoy a warm and artful holiday season here at YAA. Every day brings a new and exciting art theme with fun and exciting projects in our studios and galleries. In addition to artrageous art projects, enjoy special guest artists, snow days, pie eating contests, cookie decorating and more!